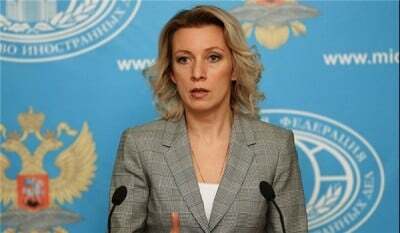 Russian Foreign Ministry Spokesperson Maria Zakharova said following independent reports in support of Moscow’s intel and evidence on the Turkish scandal of oil trade with the ISIL Takfiri terrorist groups, it’s now President Erdogan’s turn to act on his words and resign. Addressing a weekly press briefing in Moscow on Thursday, Russian Foreign Ministry Spokeswoman Maria Zakharova said that her country’s information about smuggling of ISIL oil in Turkey has been confirmed by other sources now. “For instance, Danish newspaper Klassenkampen has published report on Turkish participation in oil smuggling, which has been prepared by consulting company Rystad Energy,” she said. The Spokesperson stressed that Turkish president Recep Tayyip Erdogan had stated earlier that he would step down if ISIL oil smuggling would be confirmed, but Russia has presented evidence on Turkish partnership in the smuggling, implying that it’s now Erdogan’s turn. “I would like to remind you that not too long ago, Turkish President announced his readiness to resign if it is proven that oil deliveries by Ankara or with the help of the government of Ankara from the terrorist group [are taking place], that ‘if this fact is proven, I’ll leave this chair,’ Erdogan told journalists on the sidelines of the climate summit in Paris. I’d like to understand: What’s up with that chair?” the Russian FM spokeswoman underlined. “Russia is implementing all measures in countering oil smuggling by the ISIL and hopes that other countries will join in cooperating with Moscow,” Zakharova said. “As you know, and we’ve said this constantly, Russia is implementing measures in order to stop and close the paths of oil deliveries by terrorists. We hope for active actual cooperation with other countries towards goals,” she added. Earlier, the Russian defense ministry announced that Erdogan and his family members are directly involved in illegal oil deliveries from ISIL oil fields in Syria.